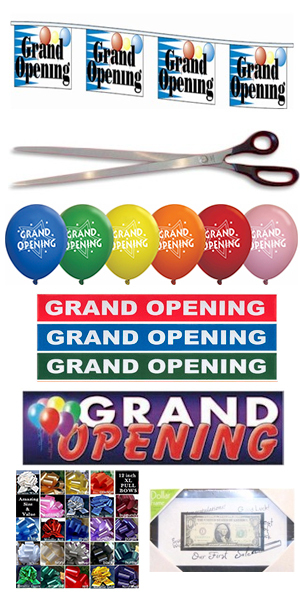 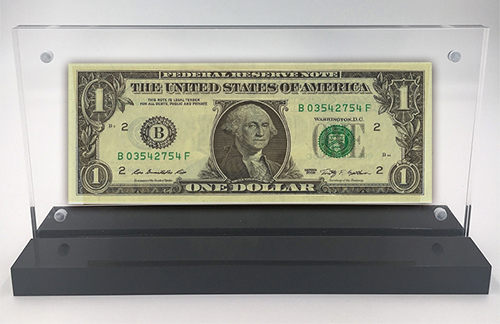 Proudly show off your business first dollar made with this acrylic framed desk display. 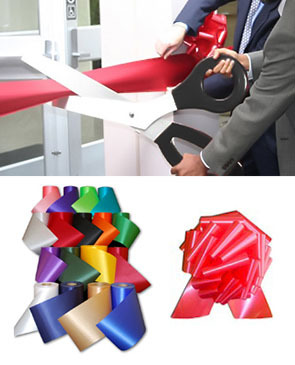 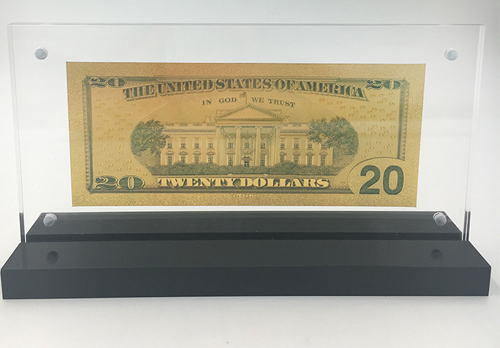 Fits most currencies and banknotes. 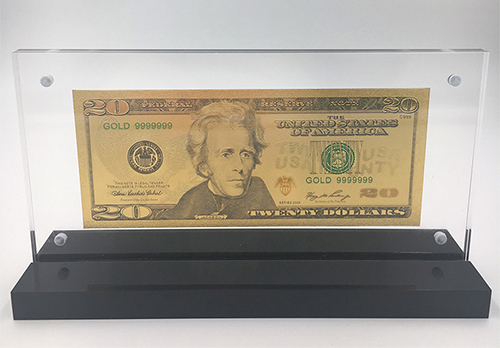 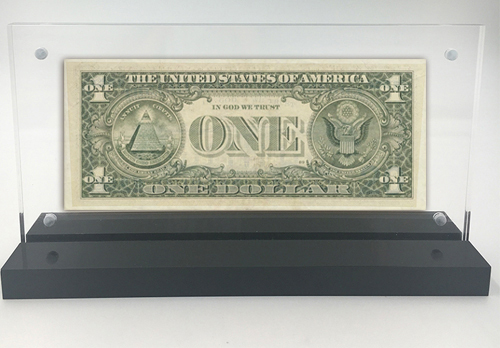 Acrylic Frame can be opened to put your first dollar in or for the dollar to be replaced at any time.